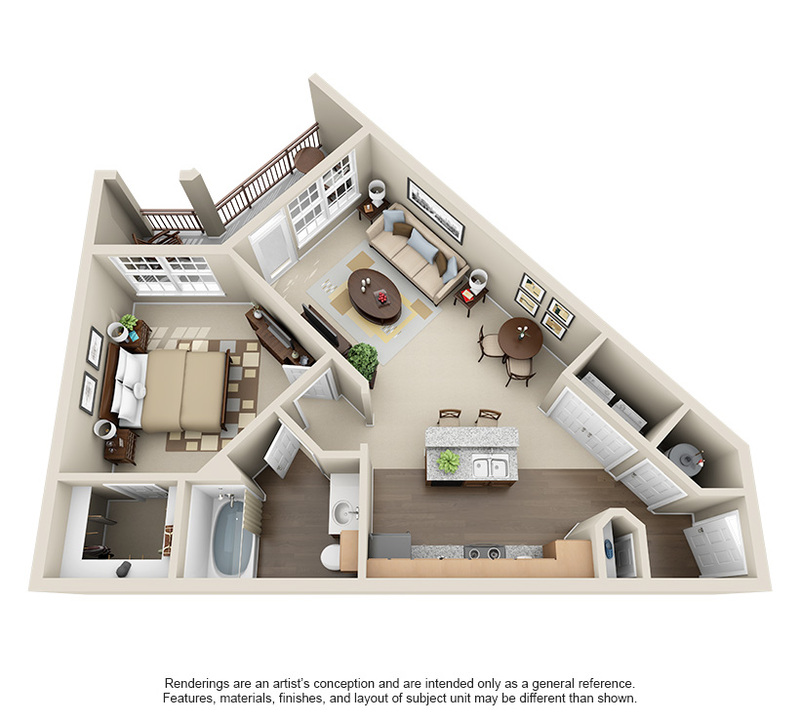 Welcome to the Heritage Grand at Sienna Plantation Apartments. 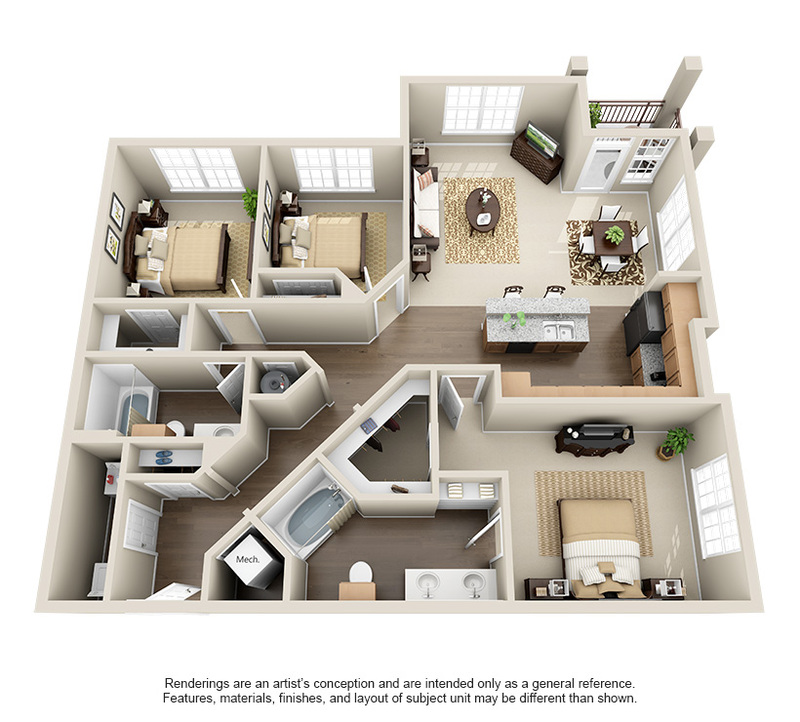 Here you can choose between three styles of two bedroom apartments in Missouri City, TX. 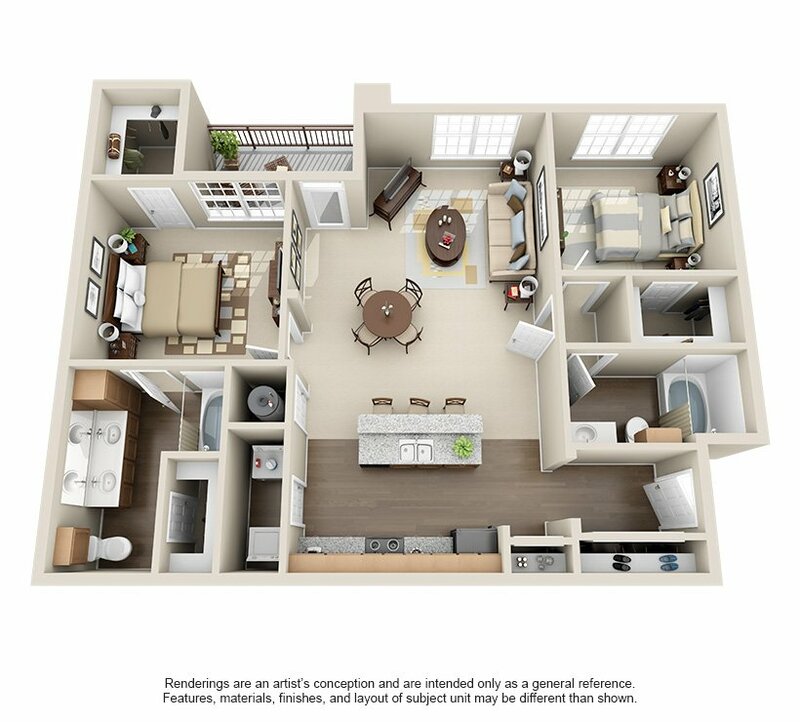 Each of our Missouri City apartment floor plans include two bedrooms, two bathrooms, a spacious living room leading to the dining room, and walk-in closets. 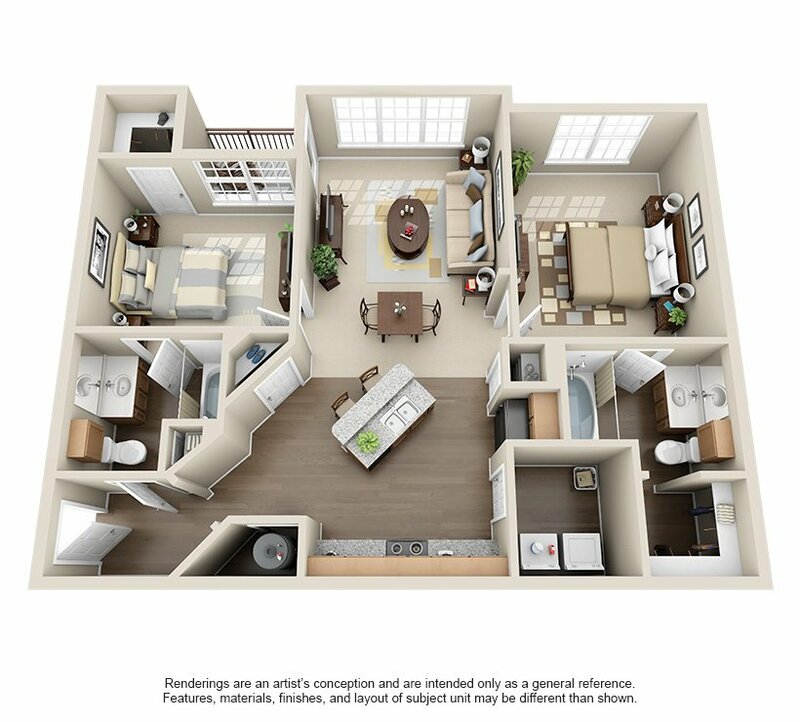 The biggest difference you will come across in our Missouri City apartment floor plans is the actual square footage that you prefer. 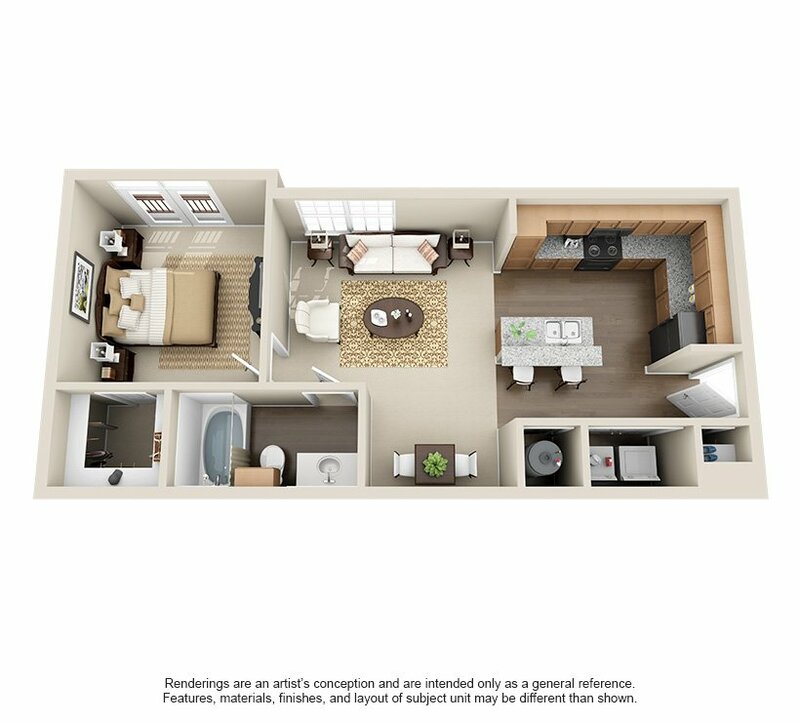 In our B1 apartment model you will encounter 1093 SF, while in our B2 floor plan you will have access to 1175 SF of space. 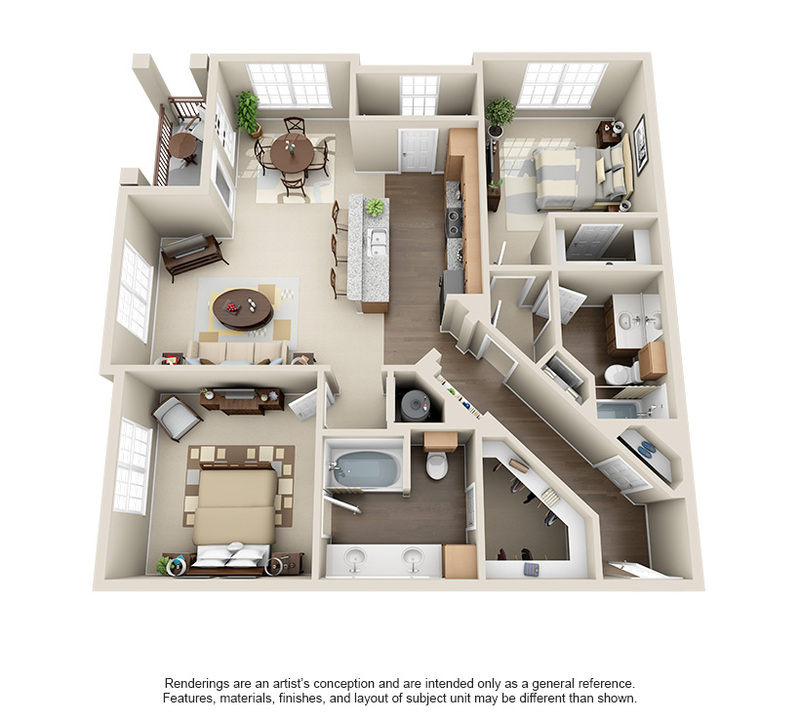 Lastly, in our B3 model you will gain an amazing long hallway entrance and the most space at 1265 SF. 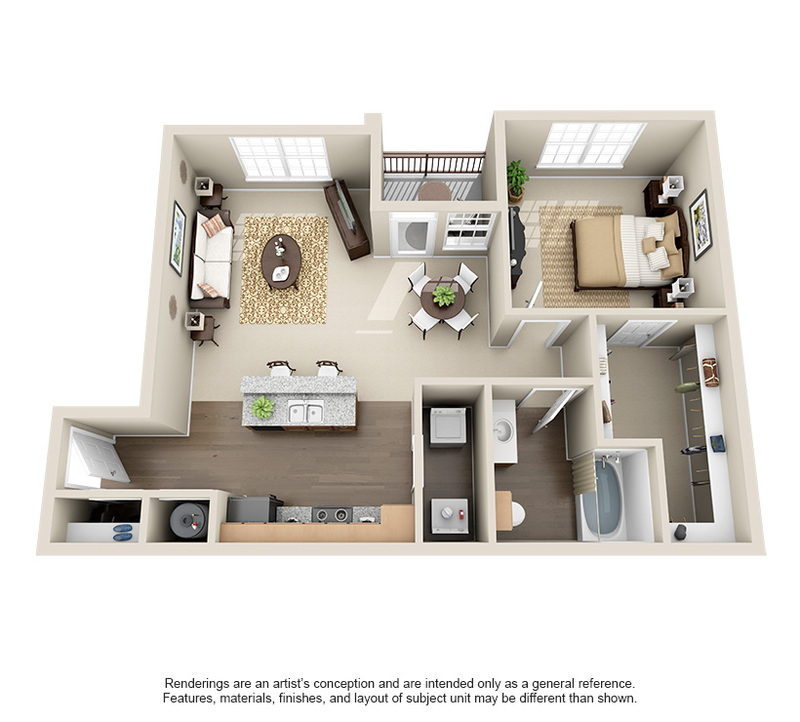 So please don’t hesitate and give us a call to schedule your tour today to discover one of our amazing two bedroom apartments in Missouri City, TX.